Sioux Hall, Chief Instructor of Harvard Aikikai and Muso Aikikai, passed from this world on February 6, 2015. She died in much the same way as she lived – peaceably, on her own terms, and with profound courage. I knew Sioux for almost 35 years. 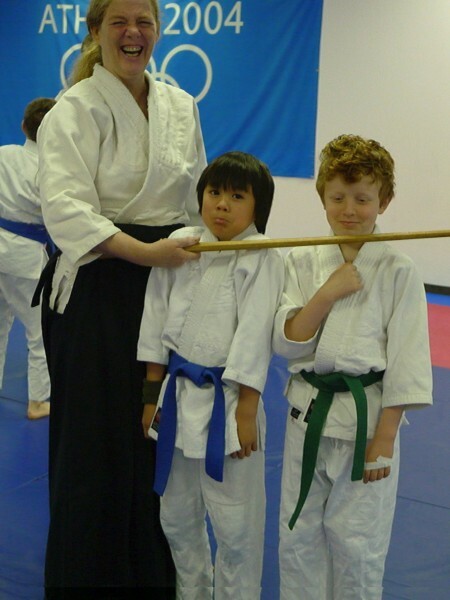 I remember the first time I met her; she was ikkyu and I had just started practicing. She was practicing kokyu dosa with ferocity. Imagine that for a moment. As nage, she attacked with force (yes, I said ‘nage’), her bright red braid swinging wildly. In that moment, I thought to myself, “Now that is someone I have GOT to get to know.” Over the years, I saw her bind her shoulder with duct tape so it wouldn’t dislocate during practice, hold court with friends regaling them with Sensei stories, and practice hard …boy, did she practice hard… with fearlessness and abandon. Over her aikido career, she was a constant, reliable and positive presence both on and off the mat. She was a consummate practitioner and teacher, yet she often operated in the background to make sure everything and everyone was taken care of. If you watched carefully after any summer camp class, Sioux was there; listening, sometimes giving suggestions on how to handle difficult situations, or showing how to properly tape an ankle. Did you ever wonder who arranged the flowers on the kamiza at summer camp? That’s right. 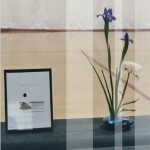 She was the ikebana master at so many seminars, including summer camp. In aikido and in life, so many of us have benefited from Sioux’s honesty, wisdom, kindness and generosity. People of all kinds were drawn to her, feeling her acceptance and warmth. 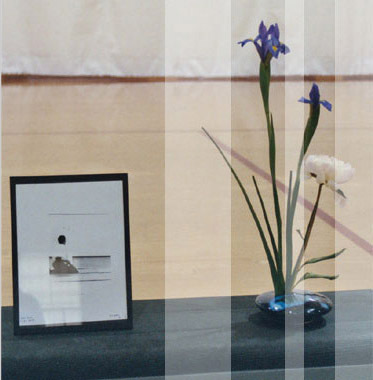 She respected people of all abilities and was committed to creating a space for everyone to be able to fully participate in aikido regardless of age, gender or ability. A generous teacher, she could convey the essentials of aikido without being condescending. In particular, she was an advocate for women and children. It’s the children I want to tell you about. Kids LOVED Sioux. She understood them completely and intuitively. The more they felt disconnected from the world, the more she was a bridge for them. In addition to teaching aikido to children and youth, she was also a counselor to troubled and disconnected kids. She was a trained professional with impressive university credentials. She was an expert in conventional terms. The credentials gave her access, but life gave her the real healing knowledge. She trusted that children knew deep down what they needed and wanted. Sioux believed from the bottom of her heart that children needed to have a voice, and she always conveyed to them how smart and clever, lovable and capable they are. She has had a profound impact on children beyond number. The legacy that Sioux leaves behind resides in those kids as they now mature (or have matured) into adulthood. They will be better aikidoists and better people for having been known and loved by her – as are we all. I will miss you, dear friend. For those of you who are able to attend, a party to celebrate Sioux’s life will be held on April 25 from 2 PM to 6 PM at the Hyatt Regency, 575 Memorial Drive, Cambridge, MA. There will be music, desserts, a cash bar and lots of memories of Sioux. If you plan to attend, please RSVP to http://bit.ly/1wTVDdF or ychinlee@gmail.com. As we gather to celebrate her extraordinary life, please consider contributing a photo or a written personal memory of Sioux. These may be emailed to siouxphotos@gmail.com.